What she says: I'm fine. Yes! 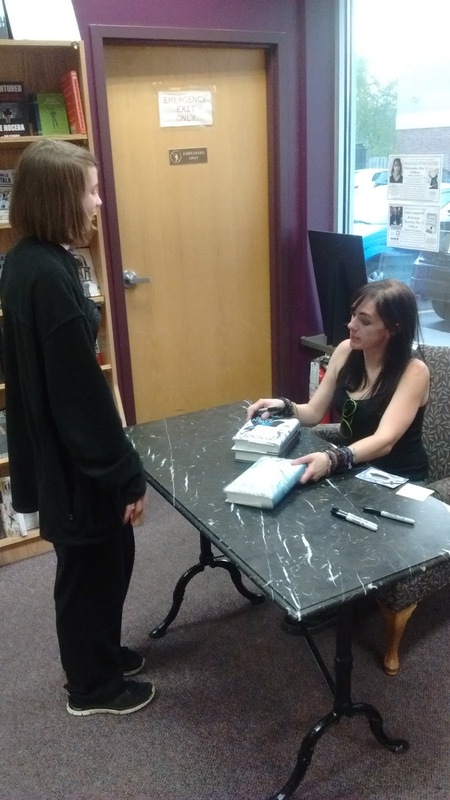 I met Maggie Stiefvater! I know! Crazy! I'm still in shock! Yeah! Okay, I'll stop. 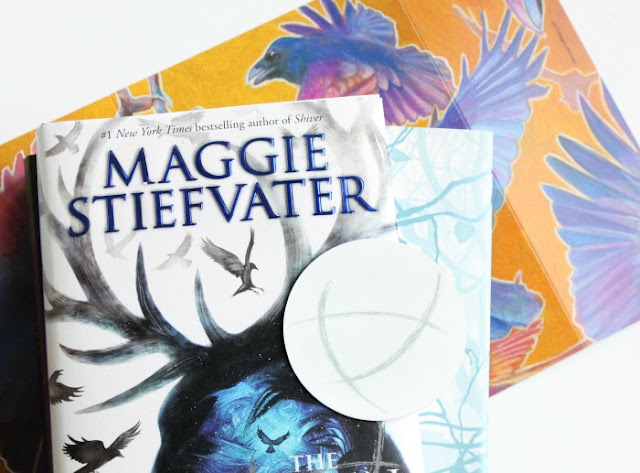 Back in March, I found out that Maggie Stiefvater was going on tour for The Raven King.... in May. I wanted to go to this book signing for my birthday present but my parents said no because it was far away and there was many "what ifs". Disappointed and upset, I (somehow) moved on. On to April, I then found out that she was coming to my area and the day she was coming. My family and I were free from any events. I begged my parents (aka my dad) to take me. They said "fine" but you must pay for your own ticket. I screamed with joy. I talked about it on the internet and waited until THE DAY. Now, it's May and it's THE DAY. It took an hour to get to the town but ~plot twist~ my dad and I drove past the bookstore! Road construction was the cause. Decades later, I spot this baby (picture below) driving toward Walgreens. I shrieked "THAT IS MAGGIE'S CAR - THAT IS HER CAR!!!!" Seconds passed, and I say "Why is she going to Walgreens?" 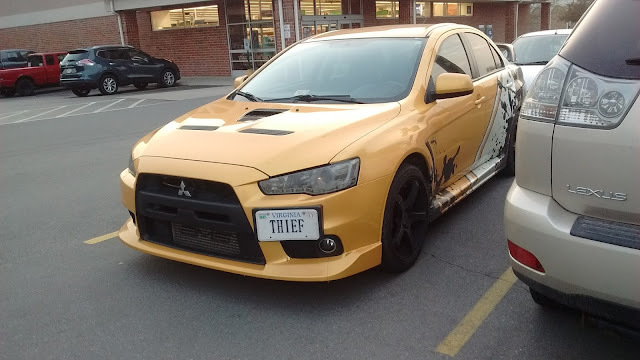 My dad, still puzzled about how I know Maggie Stiefvater's car, (#stalker) spots the bookstore right next to Walgreens. We park the car and go into the bookstore. Here is an inside view (picture above) of the bookstore . On the left, there were chairs and a microphone for Maggie. 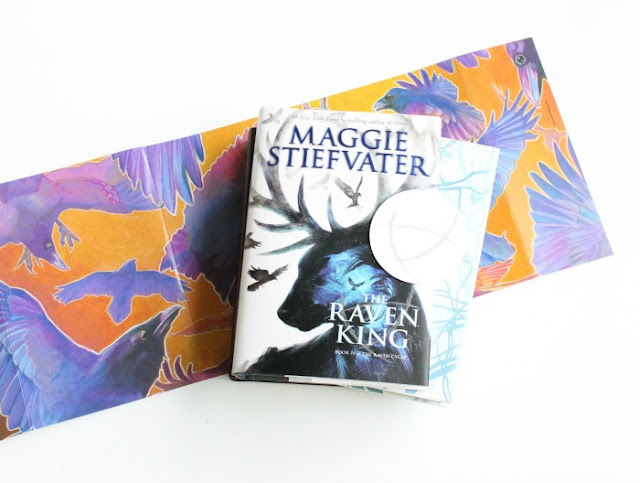 I received my copy of The Raven King and book swag. I sat down and WAITED. The crowd was a mixture of ages. But all together, it was a small crowd... maybe 40-60 people? I was very nervous and my anxiety wasn't helping. 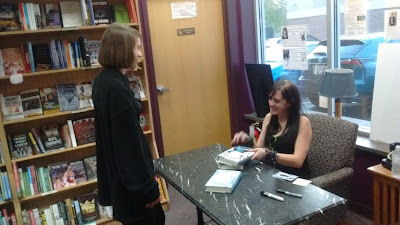 A half-hour later, my dad sits down with me (#rebel) and Maggie Stiefvater steps out and begins talking. She was just how I imagined her. She shared hilarious, personal stories and she acted everything out. It - Was - Awesome. I was laughing and loving every second of it. 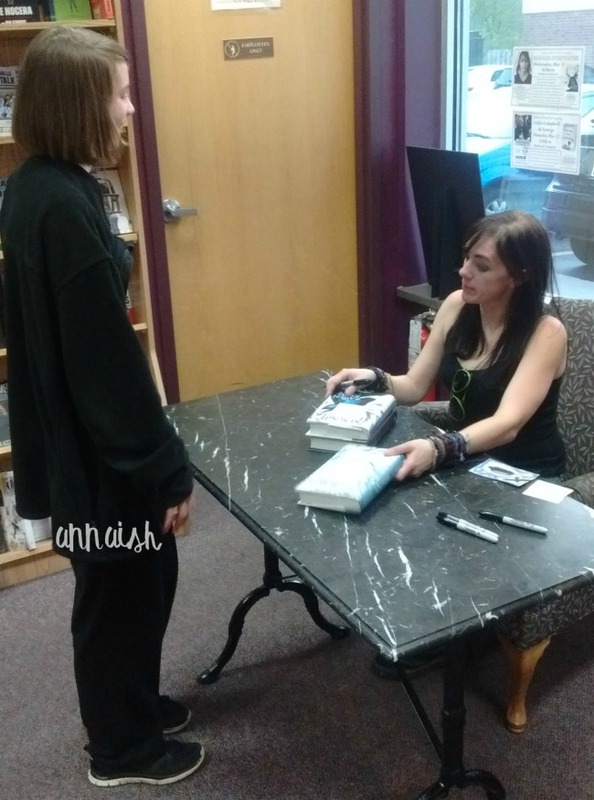 She took some questions before the signing started. I was near the front of the line (maybe the tenth person?) and I started running through (in my head) what I was going to say to Maggie. 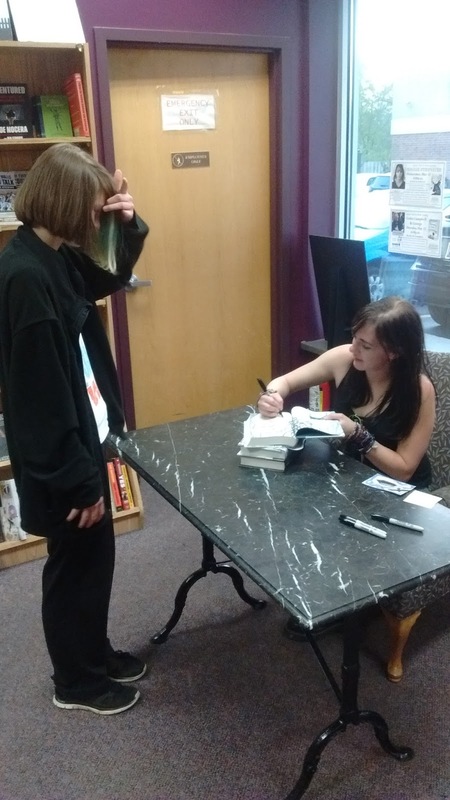 FYI: When you're going to meet your favorite author, YOU GET VERY NERVOUS. Anyway, I realize that Maggie was already asking people questions! God bless this woman. At the same time, I also realized that no one was standing next to Maggie and taking a picture with her. Family members were taking pictures while you were talking to Maggie. My stress levels are now bouncing off the walls because I can't find my dad! I spot him but I can't get his attention! I faint! And vomit! The bookstore blows up! And I don't get the picture! Here's how our talk went. Me: Oh! *looks at my shirt because I apparently can't remember what my shirt looks like* *laughs* Thanks! Well you made it! Maggie: Do you have a favorite? 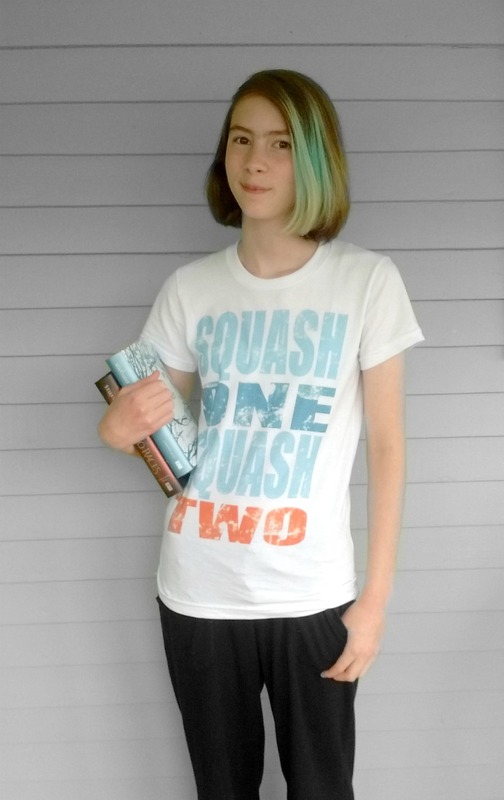 Me: *rambles* Well yeah I mean I'm pretty sure Shiver is my favorite because I read Shiver when I was 10 or 11 and because of Shiver I discovered YA! Me: *looks at my dad* Um did you get a picture? Maggie: Do you know this man? Me: Oh yeah! That's my dad. Maggie: *laughs* Oh ok and here you are! 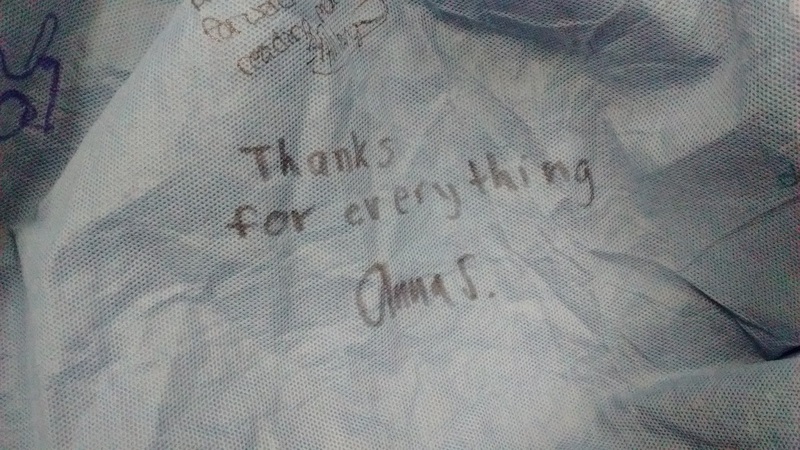 THEN (WITH VERY SHAKY HANDS) I WENT TO SIGN HER CAR COVER. Finally, my dad and I walk out of the bookstore and talk about how expensive Doctor Who coloring books are. 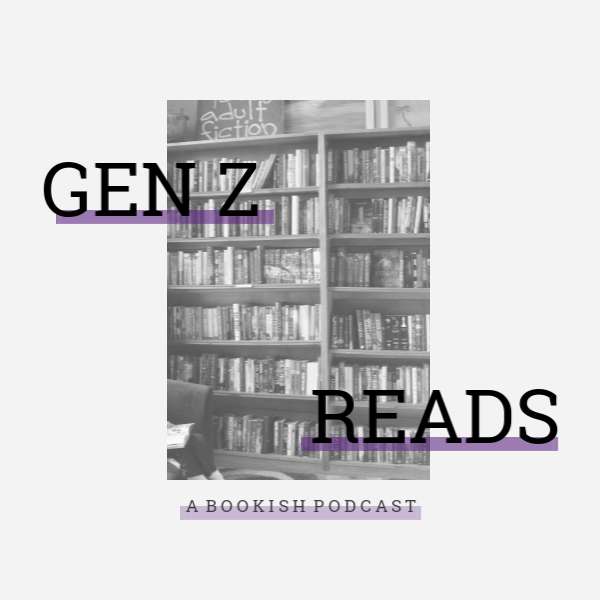 SO THERE YOU HAVE IT FELLOW BOOKWORMS! I met Maggie Stiefvater and survived. 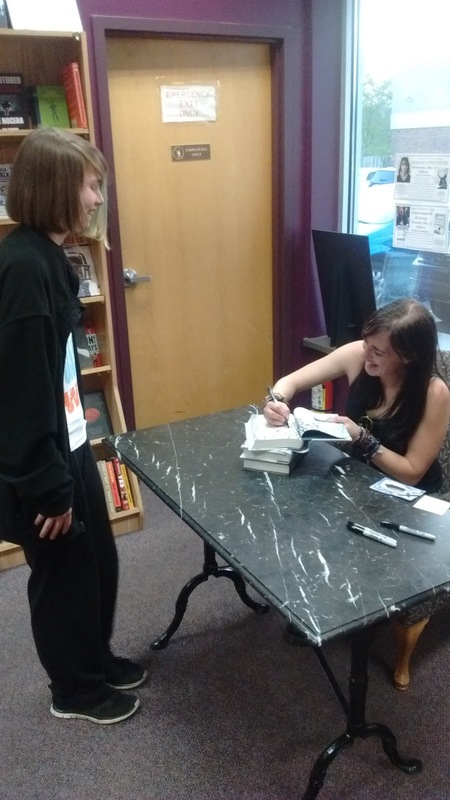 Have you met Maggie or your favorite author? Let's chat! OMG THATS SO EXCITING! She seems like such a cool person. When I met Sabaa Tahir I was so nervous I kept awkwardly rambling on about how much I loved her book... My voice was shaking. People don't realize that authors are like the bookworms equivalent to Justin Bieber. They're our celebrities! IT WAS EMILY! Maggie was so cool (and chill!) Hahaha yes! 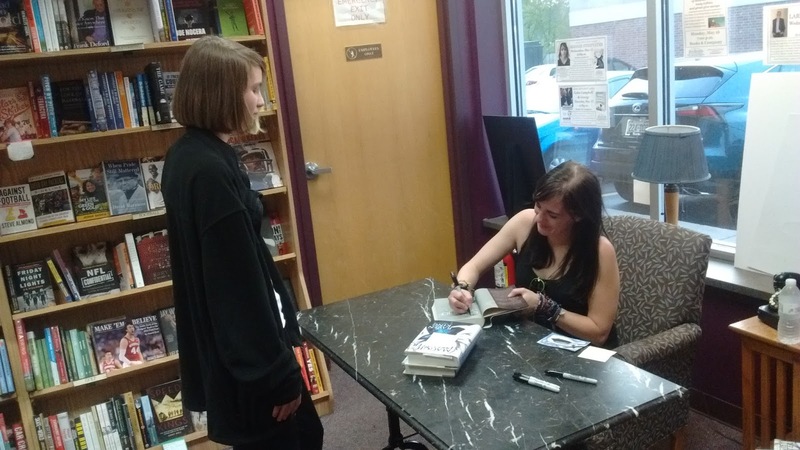 Authors are basically our (bookworms) celebrities! That is so awesome anna! Ahhh congrats! I couldn't bear to meet one of my favorite authors - I'd just kind of melt into a puddle of nerves. Thanks Ellie. <3 Haha, agreed! Awww, thank you so much! <3 :,) Nice, I would love to meet E. Lockhart.